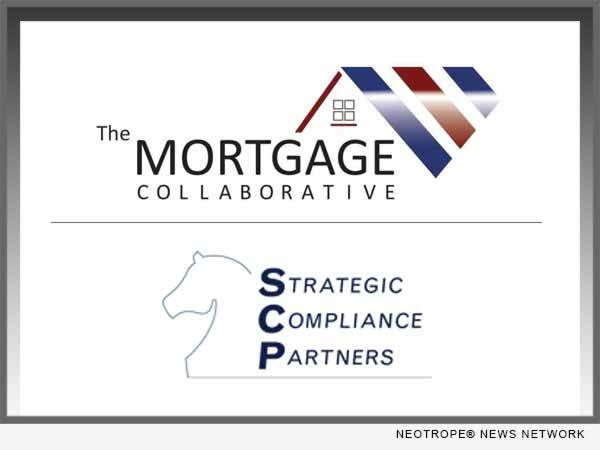 SAN DIEGO, Calif. /California Newswire/ — The Mortgage Collaborative, the nation’s only independent mortgage cooperative, announced a new partnership with national compliance solutions provider, Strategic Compliance Partners. The new relationship with Strategic Compliance Partners adds another best-in-class mortgage compliance company to their preferred partner network. Strategic Compliance Partners (SCP) is more than a compliance and consulting company. With a team that includes accomplished attorneys and experienced compliance practitioners, SCP brings together innovative technologies and legal insight to deliver outstanding compliance management solutions to mortgage banks, warehouse banks, mortgage brokers, and other financial institutions. The Mortgage Collaborative network is more than 110 lenders strong, with an aggregate annual origination volume of over $190 billion. The network caters to lenders of all sizes, with a strong mix of independent mortgage brokers and community banks and depositories. For more information, visit: http://www.mortgagecollaborative.com/. Our seasoned compliance specialists have one goal in mind – to help our clients navigate the ever-changing landscape of the mortgage financial industry. Our solutions include a wide variety of services and technologies to simultaneously mitigate risk, achieve CFPB compliance and increase profitability. For more information, go to https://strategiccompliancepartners.com/.